The Reds edged Les Parisiens 3-2 at Anfield on Tuesday night. Liverpool vs Paris Saint-Germain was the highlight fixture of the opening day of the UEFA Champions League action and the fixture at Anfield didn’t disappoint, with the host edging their fancied opponents 3-2, courtesy of an injury-time strike from Roberto Firmino. Daniel Sturridge, making his first start of the season, had put the hosts ahead on the half-hour mark before James Milner converted a penalty to open up a two-goal lead for the Merseysiders. PSG fullback Thomas Meunier reduced the deficit late in the first-half and Kylian Mbappe would equalise with just seven minutes remaining to seemingly ensure a share of the spoils. Substitue Firmino had other ideas, however, and he fashioned a bit of space for himself inside the box before firing a low shot into the bottom corner right at the death to continue Liverpool’s 100 per cent start to the season (all competitions. “It was good, really good in all departments pretty much. It is so difficult to defend them, but we did. Good organisation and a big heart is always a good combination for defending. All 11 players were involved in that,”Klopp responded when asked about his reaction to his side’s win at Anfield. The possession stats were even, but Liverpool had more shots (12-7) and more efforts on goal (7-5) than Les Parisiens on the night. While Neymar, the world’s most expensive player, was largely quiet, as was centre-forward Edinson Cavani, Liverpool attackers Sturridge and Roberto Firmino made life miserable for their opponents on the night. “Great performance. Great performance of Daniel. The three in midfield did an outstanding job, but they only can do it when the two wingers in how we play and the No.9 are helping in all these situations to keep the formation compact. It was fantastic,” Klopp gushed on the topic of strikers Sturridge and Firmino coming up with clutch goals in either half. Klopp has always favoured Firmino over Sturridge, but the German tactician was all praises for the injury-prone Englishman after he scored his second goal of the season. “I said to Daniel before the game he is the best shape since I’ve known him, physically, and now he had to use it – and that’s what he did. A super game, a super goal,” the Liverpool manager added. Firmino’s contribution at the death proved to be a telling one, prompting calls by fans and some pundits that perhaps the Brazilian should have started the game. 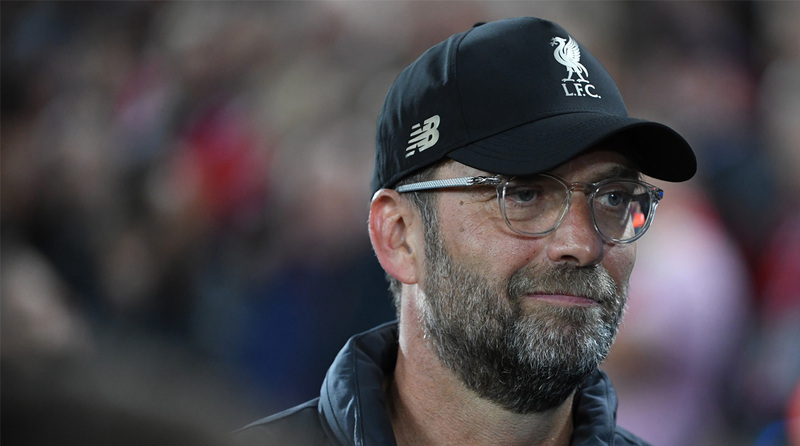 However, Klopp revealed that it was doubtful whether the striker would even make the bench after Tottenham Hotspur defender Jan Vertonghen had inadvertently poked his eye on the weekend during a Premier League clash. Liverpool top Group C after Matchday 1 with three points as the other two teams in the group–Napoli and FK Red Star Belgrade–played out a 0-0 draw. The Reds’ next continental fixture is on October 3, when they visit the Serie A outfit.